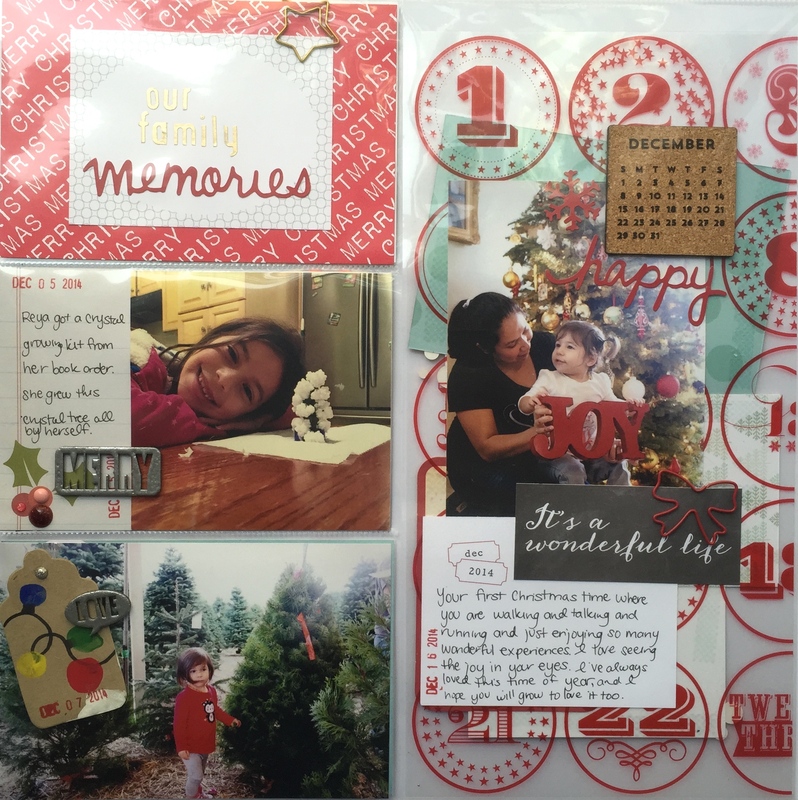 During this past holiday season I started a Holiday Memories scrapbook album. 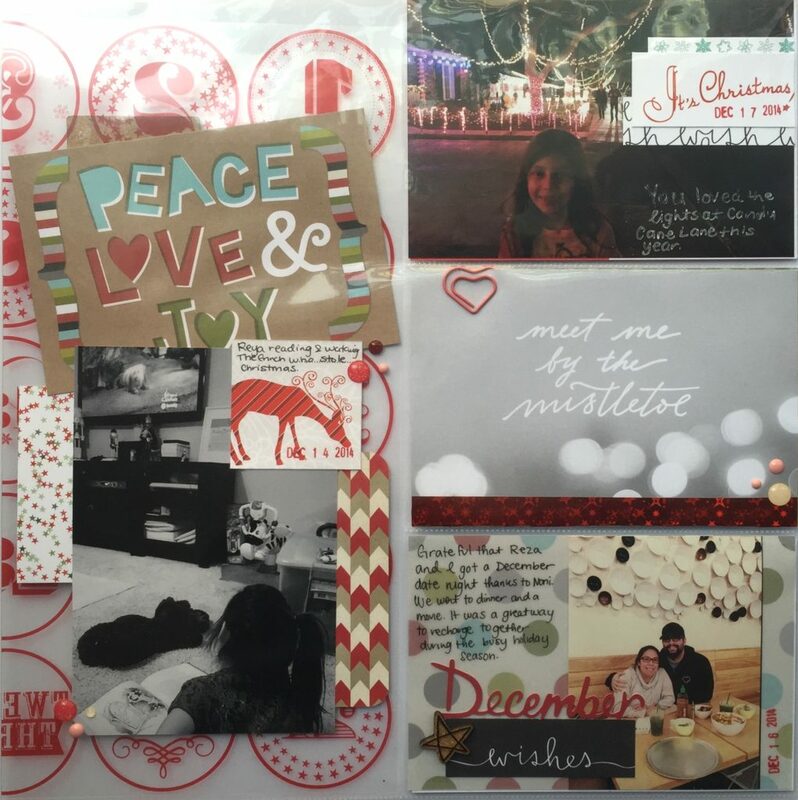 I started out with the help of the Simple Scrapper class, Holiday Focus, and I was able to pre-make a few scrapbook pages. Then, I just had to add the photos and words as events happened. This was a great way to get a head start on the project but I still wasn’t able to complete it during that busy season. So with the help of another great Simple Scrapper course, The Finishing Project, I’ve picked it back up in the past few weeks and am hoping to complete it before Easter. During this class the most helpful thing has been creating a” finishing framework”. Its basically a project outline that has allowed me to make a list of what I’m including in the album, check off what’s done, and see what I have left to do. This framework has really helped me. 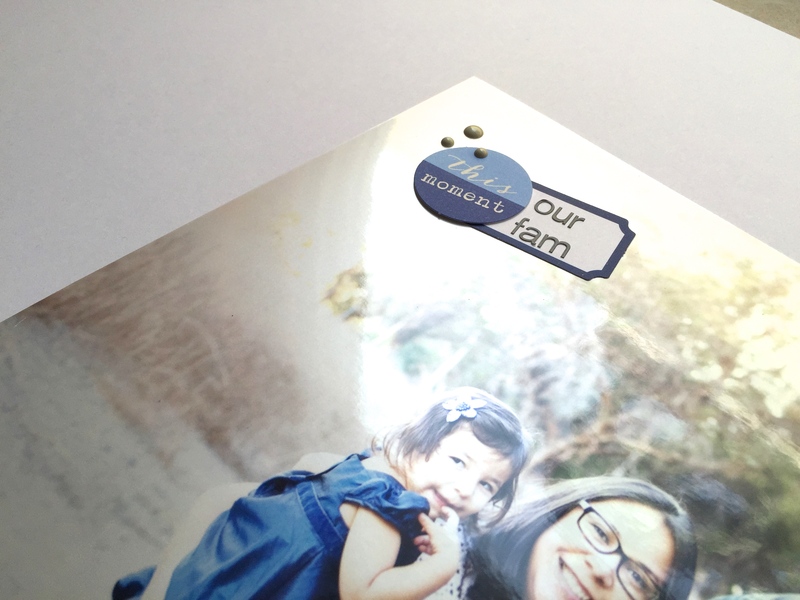 A lot of times when I sit down to scrapbook I have a hard time figuring out where to start. Using this framework I know exactly what to work on next. I also love the feeling of checking things off a list and as I complete more I just keeping gathering momentum. 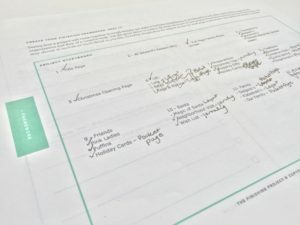 So the next time you have an unfinished project, scrapbooking or otherwise, consider using your own “finishing framework”. 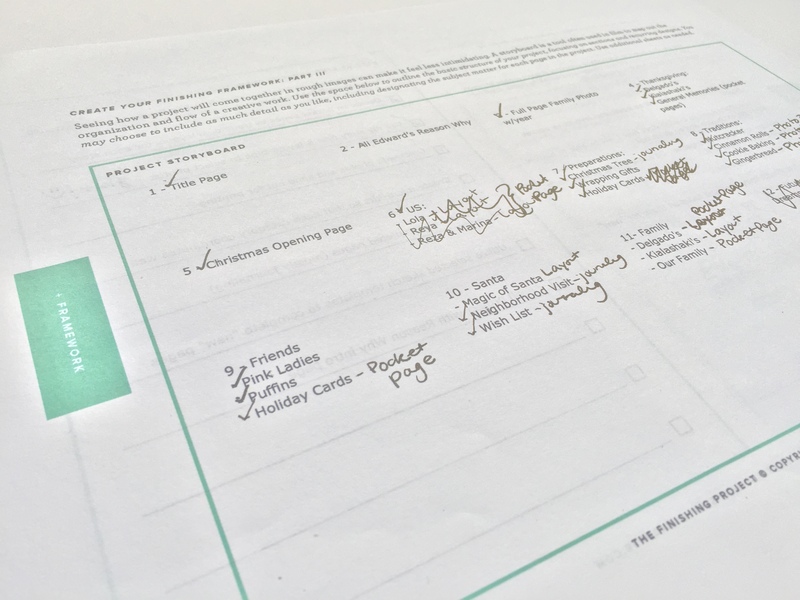 Create an outline for the project, include a general plan for what you’d like to happen and some clear steps, check off anything that’s already done and as you go check off your accomplishments. 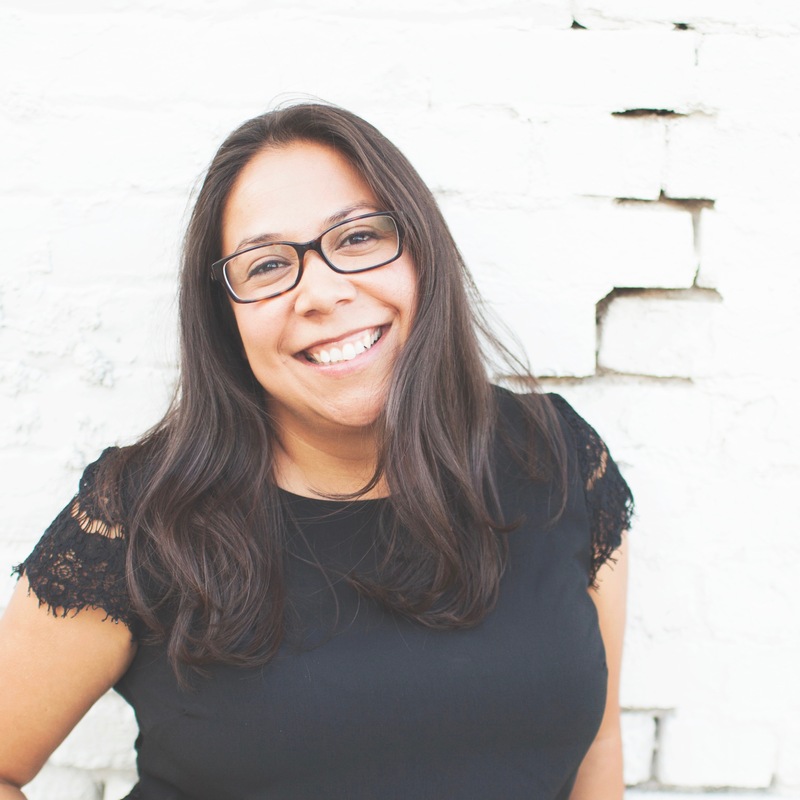 Simple Scrapper has another great FREE class coming up in May. Photo Crush is set to help you organize your overwhelming digital photo library. Sign up for more info here!